The NHTSA gave the Hyundai Sonata Hybrid a 5-star overall safety rating, with only rollover protection scoring less than full marks. Meanwhile, the IIHS picked the Sonata as a 2018 Top Safety Pick+ due to extensive safety features onboard and superior crash ratings. Seven airbags are standard in the Hyundai Sonata Hybrid, along with ABS, stability control, rear-view camera, blind spot monitoring and rear cross traffic alert. Upgrade to the Limited trim with the Ultimate Package, and the Sonata becomes even safer with automatic emergency braking, lane keep assist, and driver attention alert. 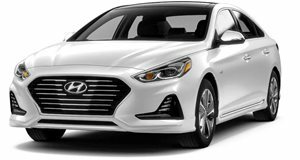 For the additional safety features – for which the IIHS awarded the Sonata as a Top Safety Pick+ - it’s well worth upgrading to the Limited model with Ultimate Package.